Maybe you've spent some time thinking about how LIFEGroups fit into the "BIG PICTURE" at Calvary? The following thoughts might help you work through some of the ideas, as well as to help you consider your role in helping people connect to God and others. For some reason, the LIFEGroup questions were left out of the bulletin this week. If you need them, here they are! 1) What is the most amazing meal you have ever had? Who prepared it? How long did it take to prepare? 2) Read John 6:1-15. 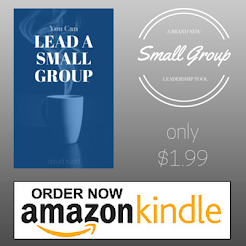 Have each member of the group talk about one thing that stands out to them in the passage. 3) Verse 6 says that Jesus was testing the disciples. Do you think they passed? Why or why not? 4) How have you felt like God might be testing you in recent months? Do you feel like you are passing? Why or why not? 6) What is something (gift, resource, time, etc...) you have that you would be willing to give to Jesus? Check out this week's newsletter, including information on our ongoing open forums, our upcoming training summit (focused on care giving), and our potential driver expectations. Click on the picture below. We use dashboards to "measure". We check our speed, our oil, our fuel, our RPMs and more with the dashboard. Below are a couple of "measurements" you can use to evaluate your LIFEGroup. Glancing at the dashboard every so often is a great way to keep your group from "breaking down". are opening themselves to the work of the Holy Spirit, and thereby exhibiting increasing evidence of the fruit of the Spirit. Here is this week's LIFEGroup Weekly! Click on the picture for the full size view.